The industrial city of Asansol, located in the Burdwan district, is eventually evolving as a bustling hub with a huge workforce, moderate per capita income, good transportation facilities and connectivity, and a growing number of residential and commercial establishments. Besides a vast array of modern infrastructure projects that have already been undertaken, the fact that Asansol has been able to withstand and survive the slowdown is an indicator of further spurring development. Real estate rates, which are one of the key indicators of the development index, have almost doubled up in the past five or six years. Realtors predict that prices may rise significantly due to the emergence of the proposed airport city by Bengal Aerotropolis in the Asansol – Durgapur belt, which is already drawing some attention. Small and independent realtors and infrastructure companies are very much keen to tap into this huge potential. National, as well as local developers and individuals, have been buying land in the area anticipating a significant rise in prices in the months to come. Local Realtors claim that the current residential prices vary somewhere between Rs. 900 and Rs. 1000 per square foot in Asansol. On the other hand, rentals for office space vary between Rs. 35 and Rs. 50 per square foot in this industrial city. 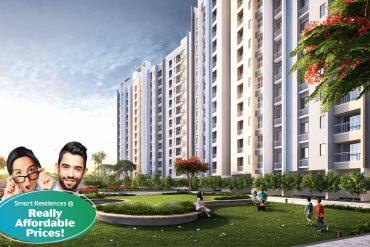 Bengal Shristi, one of the leading realty players, is contributing its bit towards the development and growth of this town by building villas, duplexes, 3 BHK and 2 BHK flats in Asansol as well as multi-storied residential complexes and retail projects, adding to the standard of living in the city. Currently, Bengal Shristi is busy developing a mega integrated township named Shristinagar in Asansol, which is over 90 acres. With Asansol having been selected as a Mission City under the Jawaharlal Nehru National Urban Renewal Mission project, the urbanisation process is all ready to be fired. With a spurt in investments in the realty sector, Asansol is soon to become a mini Kolkata. And thus, this is a great time for investors to invest in real estate in Asansol.